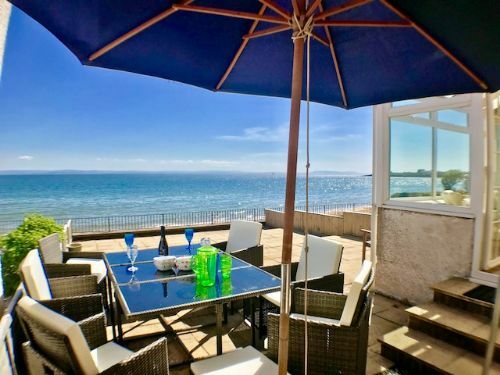 Modern beach front house offering wireless internet with stunning sea views situated within easy walking distance of shops, restaurants, pubs, watersports, tennis courts, golf course and all this popular seaside village has to offer. 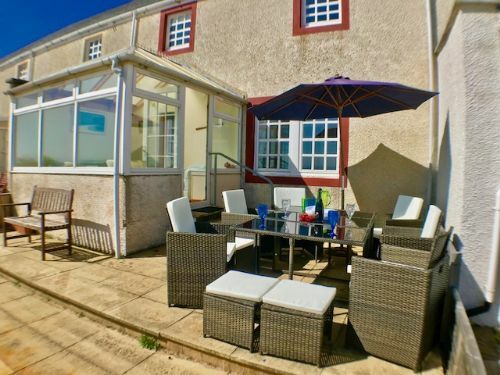 Just 20 minutes from St Andrews, ideal for golfers and families alike. 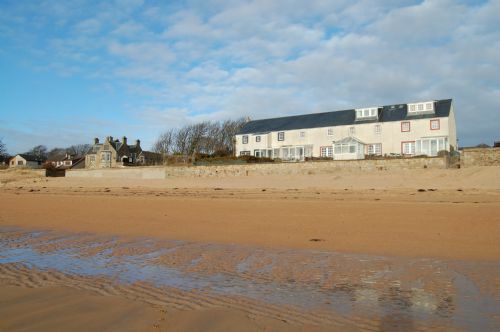 Private parking and easy access to Elie`s long sandy beach through a private gate from the front courtyard. 2 Sahara Park has 4 bedrooms (master en-suite) with family bathroom and, on the ground, floor an extra wc and useful utility room. The main living area is open plan leading from which is the conservatory to relax in and soak up the view, door from here to large area of patio, outside table and chairs provided for al fresco dining. 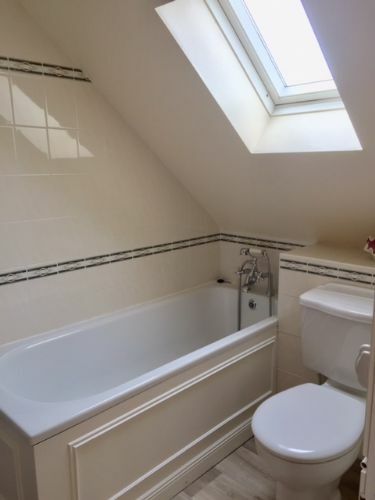 Double bedroom with sea views - king-sized bed, storage etc. Twin bedroom - 2 single beds, storage etc. Outside - to the front of the house is a car port with private parking. A gate leads from this courtyard straight onto the beach. To the rear of the house is a large patio overlooking the sea with patio furniture. We really enjoyed our week on Elie beach. 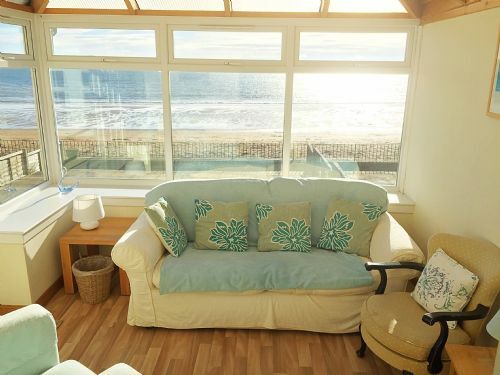 The house is great, with lovely views of the beach and sea. House is ideal for all ages. 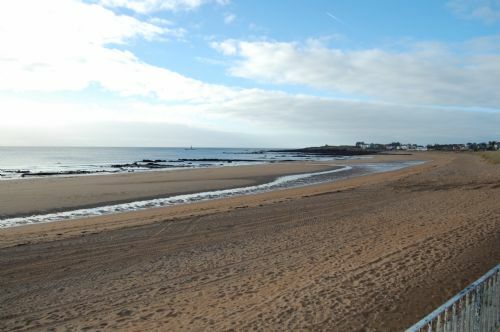 Elie village is nice, and you can walk to the centre via the beach in less than five mins. 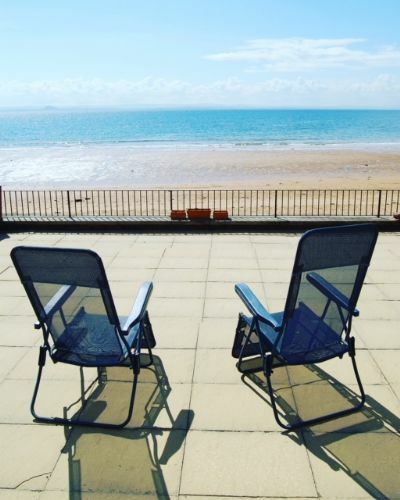 This property was beautifully situated right on the beach so that we felt instantly relaxed and on holiday. Very well equipped too and spotlessly clean. I would highly recommend it for a weekend break or a longer holiday. The location is superb, right by the beach. House was very well equipped and comfortable. 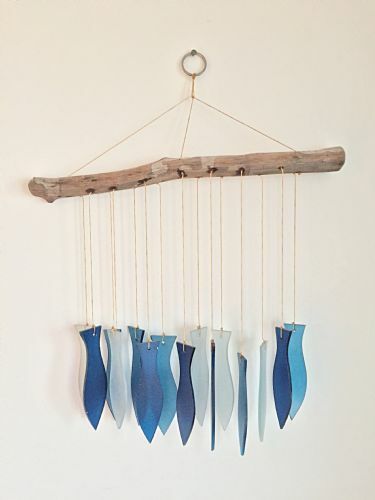 It is perfect for larger family gatherings. Beautiful house. Exceptionally clean, cosy and well equipped with stunning view. Would certainly recommend. Communication throughout was excellent. Good info re area, eateries etc. Also super area for walks and access to other coastal villages. Excellent house and location! I would definitely recommend. Very nice, clean and well laid out house. Great location for beach and very quiet. Ideal for large family holiday. Could I say how much we enjoyed our stay at Sahara park! We used this as our base for our sons wedding and the weather was just lovely for the weekend of the 3rd June ( it went downhill thereafter!) 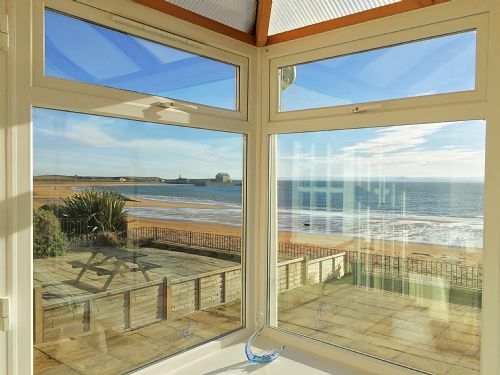 What a lovely house and could you thank the owners for the privilege in staying in such a lovely house with such beautiful views of the Elie beach. The house was so well equipped and furnished. We thoroughly enjoyed our stay. We were favoured with fabulous weather at the start of our holiday and, even in the less sunny weather at the end of our stay, 2 Sahara Park was still a very pleasant environment to be in. You are very lucky living in Elie. Apart from the relatively mild climate and relaxing ambience, the array of good restaurants in the vicinity is staggering. We only scratched the surface really. But we really enjoyed our meals at the Peat Inn and the Smokehouse – opposite ends of the spectrum but excellent food in both places. So it is very likely that we shall want to pay a return visit next year. Such an enjoyable stay. 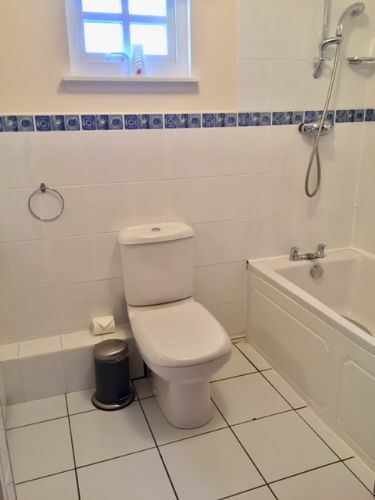 Great location, lovely house. The supplies provided made our stay so easy. Definitely coming back. Fantastic house - great views - hope to come back some time. esp loved the porch & beach views. Tips - food at Ship v good - wok & spice ok - Anstruther fish bar overrated - bread and the Elie Deli great! Surpassed all our expectations. Wonderful! Very nice house in an excellent position and ideal family accommodation. Well fitted out with everything we needed. Would recommend and come back. We all had a fantastic weekend and really enjoyed 2 Sahara Park. Thank you for your excellent service, we will use the East Fife Letting Company again. Best wishes. Our latest of many lovely holidays in this house - perfect for us! Fantastic stay! View to die for .... hope to stay again soon! Great house with everything you could want. Views fantastic and weather was great. What a lovely warm, cosy house with beautiful views! Hope to be back again! Always have a wonderful time in this little piece of heaven! !